Nissan has earned three new U.S. Environmental Protection Agency Energy Star® awards, including the 2013 Partner of the Year Sustained Excellence Award, which is the EPA's highest honor for organizations dedicated to protecting the environment through energy efficiency. Nissan's Bill Krueger, senior VP of manufacturing, purchasing, production and supply chain management, says that since the company was first recognized by the EPA in 2006, they have saved more than 800 billion BTUs (British thermal units) of energy used to assemble vehicles. "That's enough energy to power the all-electric Nissan LEAF for more than 750 million miles." This award was given shortly after Nissan received Energy Star® achievements for its powertrain plant and for two vehicle assembly facilities. Its Decherd, Tennessee powertrain plant achieved the EPA's ENERGY STAR Challenge for Industry by reducing the amount of energy required to assemble an engine by seven percent in just twelve months through the use of more efficient equipment and better compressed air leakage management. 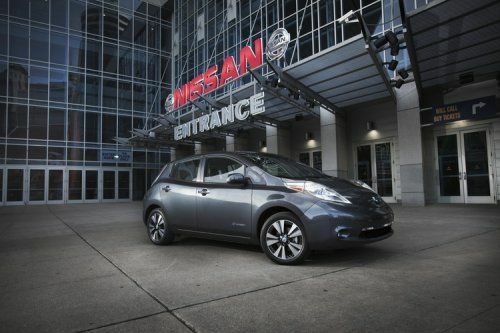 In Smyrna, Tennessee and Canton, Mississippi, Nissan's vehicle assembly plants received their seventh consecutive ENERGY STAR Certification, solidifying Nissan's position inside the top 25 percent of automotive manufacturers in superior energy management. The Smyrna plant is now over the 75th percentile in energy performance by Energy Star® metrics thanks to its new, more efficient paint plant which went online this year. The amount of energy saved by Nissan could power a Nissan LEAF electric car for more than 750 miles, but to put that into perspective, that energy could also supply nearly 22,000 American households with a year's worth of energy - heating, cooling, electricity and all.